HubeiBluelight Science&Technology Development Co., ltd. has been in manufacturing solar charge controllers for many years. These two years we establish WuhanWellsee New Energy Industry Co., Ltd to specially sell our solar charge controllers /solar controller/solar regulator. 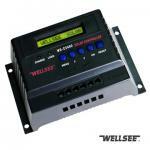 We are the famous solar charge controller manufacuturer in China. 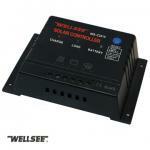 We have solar charging and discharging controllers,solar light contollers. Our controllers passed CE and RoHS certificates. We provide 1~3 years warranty. 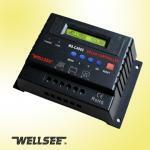 Click here to view oursolar charge controllers. 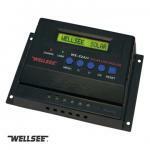 Click here to see our solar light controllers.